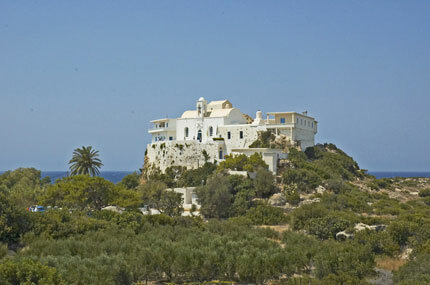 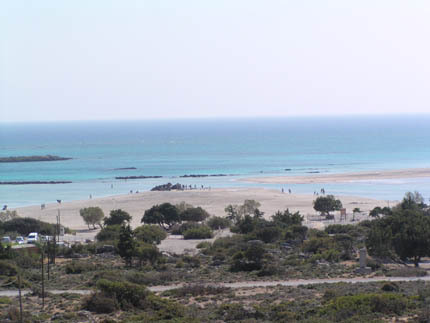 Elafonisi Island is near the southeast tip of Crete, 43km from Kastelli and 76km from Chania. 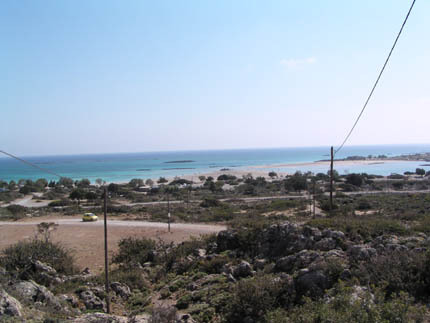 The road from Chrisoskalitissa continues as a dirt track of 5km to Elafonisi. 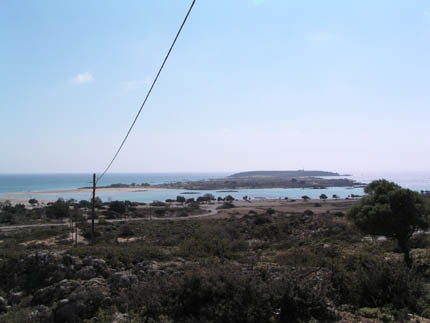 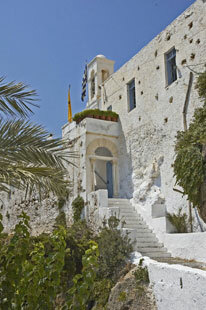 There are organized bus tours from Kastelli and Chania as well as boat tours from Paleohora to Elafonisi. 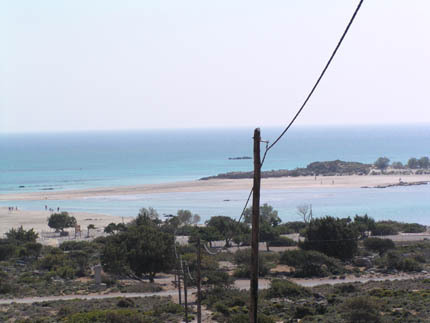 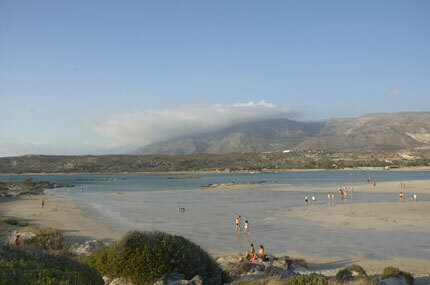 The area of Elafonisi has beautiful beaches, in front of which is the island of Elafonisi itself.